Reinforcing the educational vision and purpose of the family of schools. Support the creation of networks to encourage the sharing of knowledge, good practice and resources, as well as career development opportunities across the schools. Holding schools accountable and helping them improve their performance through regular monitoring visits and data analysis. Providing educational and operational support services to the schools. Mark’s role is to ensure the vision of the Trust is delivering high standards of education for all BPET pupils. Mark has extensive experience in the academy sector, starting working with academies in July 2004 within the Department for Education, when there were just 12 open academies. Mark supported the brokering and feasibility of under-performing schools or new provision as what is now known as ‘sponsored’ academies throughout the country. Mark has worked for three academy trust’s, the first he joined in 2009 working up to be the Director of Strategy and Business Development, growing them from six academies to 35 within four years. Mark moved to become Director of Operations for an academy trust in September 2013, supported an group from two primary academies to successfully sponsoring five open academies and two further academies in the pipeline – one a 2,220 pupil all-age Free School. He coordinated the conversion of three schools – two have since been inspected as Good Schools (both formerly in Special Measures) following excellent SAT results in 2015 – moving from an average of 58% Level 4 or above in 2014 to 82% Level 4 or above in 2015. 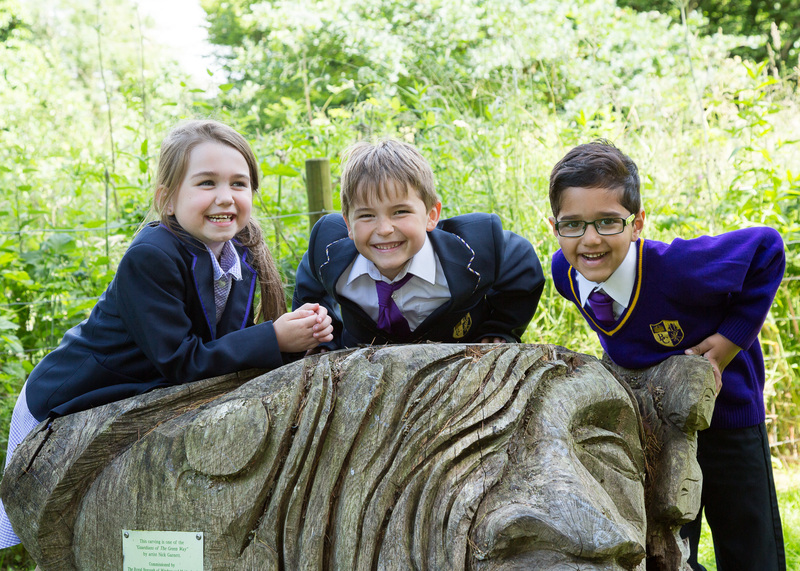 An increase of 24% in one year across the three schools. Since Mark has been at Bellevue Place Education Trust, his main achievements have been to introduce a 3 Year Strategic Plan; develop the BPET School Improvement Strategy with an effective School Improvement provider; supporting all seven schools to achieve excellent OfSTED outcomes and driving further collaboration between the schools, sharing best practice across the Trust. Mark has also worked closely on the production of a book called ‘Education, Education, Education’ by Lord Adonis and ran the London Marathon in 2017 for the Royal Society for Blind Children. As a glutton for punishment, Mark has signed up to run the London Marathon again in April 2019. Stuart joined BPET on 10 September 2018 as the newly created Chief Operating Officer. Stuart’s remit has overall responsibility for the strategic leadership of HR, asset management, contract management, compliance, ICT (including MIS systems), legal issues, Health and Safety and by strategic oversight the School Office Managers and Site Managers. He is also responsible for maintaining high standards in back office functions across the Trust, the ongoing development and embedding of the ‘Learn, Enjoy, Succeed’ vision and delivering the BPET 3 Year Strategic Plan. Amanda Burgess is responsible for all aspects of financial management; budgets, final accounts, financial control, monitoring, regularity and reporting and systems. Amanda is the appointed Chief Financial Officer for BPET. Amanda has previously worked at Oasis Community Learning where she was the Finance Director for 2 large secondary schools and 1 Primary school and previously to that supported 8 Primaries in Birmingham when they converted to academies as part of the Oasis Trust. Amanda was also the Finance Manager in a special school in Hertfordshire and has been in the education sector for over 5 years and prior to that was working in Local Government finance for over 25 years including Children’s, Leisure and Central services. Mehreen conducts the monthly account procedures which include preparing monthly budget reports, bank reconciliation, income & VAT reconciliation, along with the monthly close-down procedure and assisting with the co-ordination of the annual audit. Having previously worked for a large multi academy trust, where she completed her apprenticeship, Mehreen gained further financial experience as a Fleet Accountant based in a shipping company in Piccadilly before joining BPET. Aseel is responsible for ensuring effective, efficient and accurate financial and administrative operations. Working as part of the finance team, Aseel reports to the Management Accountant. Aseel has had work experience at Barclays Bank where he gained invaluable financial experience. Aseel was successful completing his apprenticeship in October 2019. Sue supports BPET through business support in the Central Team along with providing specialist HR advice on policy development, employment updates, training for Office Managers and complex employee issues. Sue is with us on a fixed term contract until February 2019. Sue was previously a Primary School Teacher before moving into HR in 1990. Having worked for a number of different organisations including Tower Hamlets Education, Crisis, ActionAid and MIND, Sue set up her own HR consultancy in 2001 working for Waltham Forest Education, CEA, Southwark, Turning Point, British Film Institute, Western Union before joining E-ACT in 2009 as an HR Manager. Sue left E-ACT in 2013 to pursue her interest in Environmental Education working for Essex Wildlife Trust and Wilderness Foundation before re-establishing her HR Consultancy business and Forest School business – Branching Out-Woods. Sue has run INSET training for staff at Halley House and supported Forest School at Rutherford House School. Nigel supports the Trust through leadership development activity, initially mentoring new Heads to training senior and middle leaders. This is a key area of improvement across the Trust. Nigel runs his own education consultancy company – NB Learning – where he offers leadership and professional development training for staff throughout the education sector. Having worked as a Senior Adviser at Cambridgeshire County Council for over seven years, as well as leading the delivery of senior leadership programmes at the Eastern Leadership Centre (including NPQH), Nigel brings an extensive knowledge of leader mentoring and leadership development to BPET. Nigel also has over eight years’ experience as a Headteacher combined at two schools, where Ofsted has noted his “inspirational leadership”. Robert works in a specialist maths adviser capacity for BPET. As a ‘critical friend’ to our schools, he assesses the quality of teaching and learning, recommends strategic developments to the headteachers and maths leaders, and then supports them to implement these. 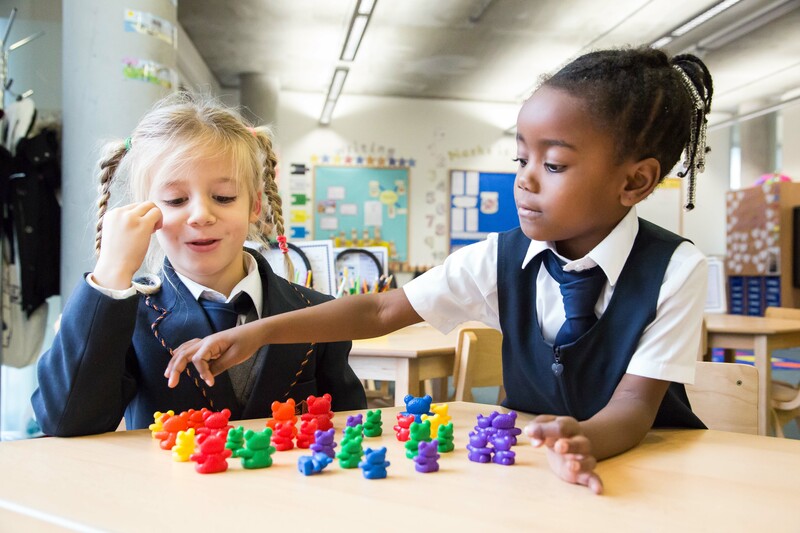 Robert wants all children in BPET schools to be confident, enthusiastic mathematicians who develop now the skills, understanding, resilience and resourcefulness that they will need for success and achievement later in their formal education, and in their future lives thereafter. Robert has over 20 years’ experience as a teacher and leader of maths. He was Head of Maths and then Deputy Head at Highgate School, from where he was appointed to be the founding Principal of the London Academy of Excellence in Newham, the first post-16 free school. LAE is very prestigious and hugely successful: as a result of the exceptional A-level results and Oxbridge success of Robert’s first cohort of students, LAE was awarded ‘The Sunday Times Sixth-form College of The Year’ in 2015. Robert brings to BPET a deep understanding of the very best global practice in maths teaching. As a Director of the National Centre for Excellence in the Teaching of Mathematics, he co-led the “teaching for mastery” research in Shanghai that is now at the heart of the government’s primary maths education policy. He is a Series Editor for a brand new primary maths programme being published by Oxford University Press, and also the UK consultant for OUP’s new secondary maths books. Alongside his BPET role he works three days a week as Director of Maths for the Atlas Partnership, where he leads maths across the Haberdasher’s Federation of schools in south-east London and also supports schools in the borough of Lewisham. Outside the classroom, Robert bakes (and consumes!) sticky cakes frequently, and runs rather less often than he knows he should. He is a regular and eclectic cinema-goer: he is as much a fan of Batman as Bergman. Laura has worked for twenty-nine years in primary education with leadership and advisory experience in a range of different settings across the country. 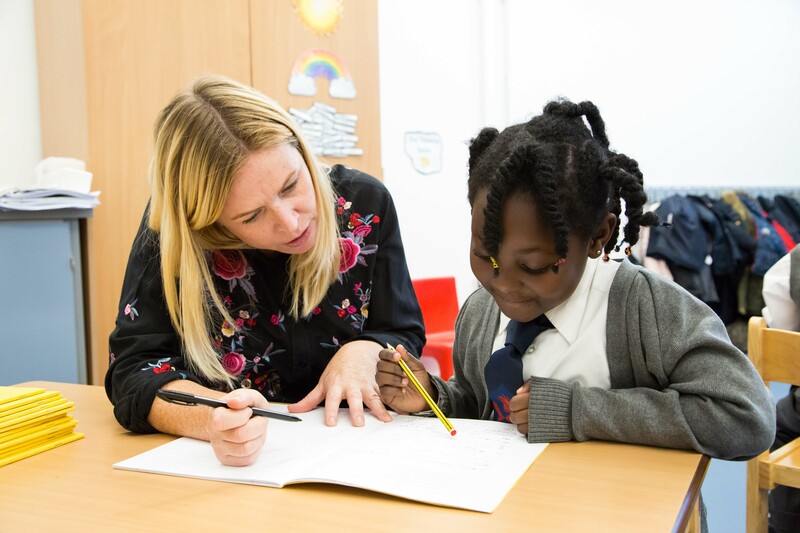 Most recently, Laura has delivered effective whole school continued professional development and improvement as a Primary Education Consultant for schools in South London, as well as for Bellevue Education Schools and Bellevue Place Education Trust Free Schools. Laura currently supports the BPET schools as the Assessment Lead Teacher, in addition to coordinating the cycle of Early Years continuing professional development. With her involvement since its opening, Laura is very keen to continue to support the transition of BPET’s Watling Park School in her role as part time Deputy Head Teacher, by contributing fully to rapid school improvement whilst building the future for school and its community. With an excellent understanding of the very best practices of teaching, learning and assessment and knowledge of the Early years, KS1 and KS2 curriculums. Laura’s passion is the development of a rich and exciting primary curriculum which provides high quality learning experiences through excellent teaching. Through coaching and mentoring, Laura endeavours to support teachers’ to be outstanding in their field, with increased skills, confidence and enthusiasm, so the very best of education can be provided to all children in their care. Laura is a freelance Primary Education Author with several books in publication, including a recent series promoting reading in KS2 for Rising Stars. In addition, she works for the Edexcel exam board as an annual Team Leader for marking KS2 Grammar, Punctuation and Spelling SATs test papers. With a passion for supporting student teachers at the beginning of their careers, Laura is also an associate tutor at Buckingham University and has previously collaborated with UCL on PGCE programmes. All senior BPET staff have completed a Declaration of Interest Form for 2018/19, in order to ensure openness within the organisation. To view the forms, click here.